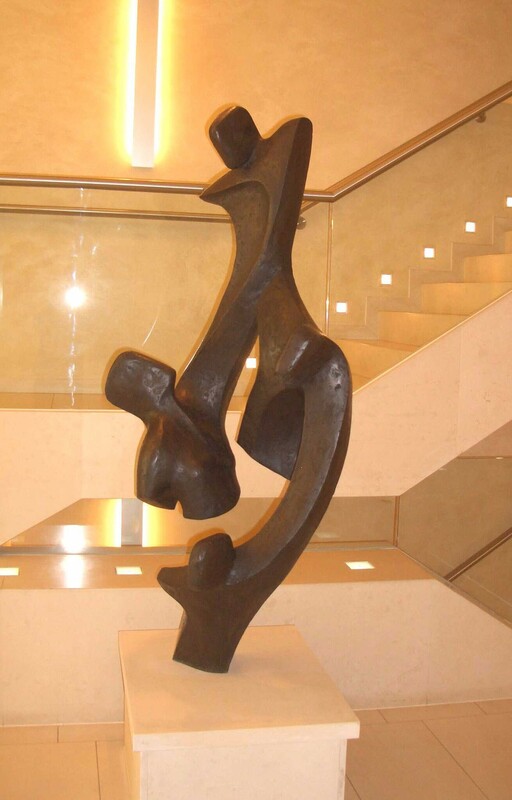 Over the years I have completed a number of works for our sculpture clients, and you will see from the list below that these include sculpture in public places such as hospitals and schools. I also have a large number of private clients, many of whom have several of my sculptures. My corporate sculptures have been either commissioned or purchased from my current stock, and clients are from different sectors of the business community. ‘Interdependency’ for Marathon International Petroleum Co. It is always a good experience to be asked to work on a commission which will be the fouc of the congregations workship. Winners included Sir Magdi Yacoub, Judi Dench, Elton John and David Jason. Many of my sculpture clients are private art collectors, some of whom have purchased several works for their homes. Some of my sculptures have been purchased by more well-known people and also celebrities.